You win some, you lose some. In changing its drastic Xbox One DRM policies today, Microsoft will actually be cutting some of the cooler features announced from the console. Everything's got a price, folks. "There’s a few things we won’t be able to deliver as a result of this change," Marc Whitten, Microsoft's Xbox One chief product officer told Kotaku, "One of the things we were very exicted about was 'wherever we go my games are always with me.' Now, of course, your physical games won’t show up that way. The content you bought digitally will. But you’ll have to bring your discs with you to have your games with you. Similarly, the sharing library [is something] we won’t be able to deliver at launch." 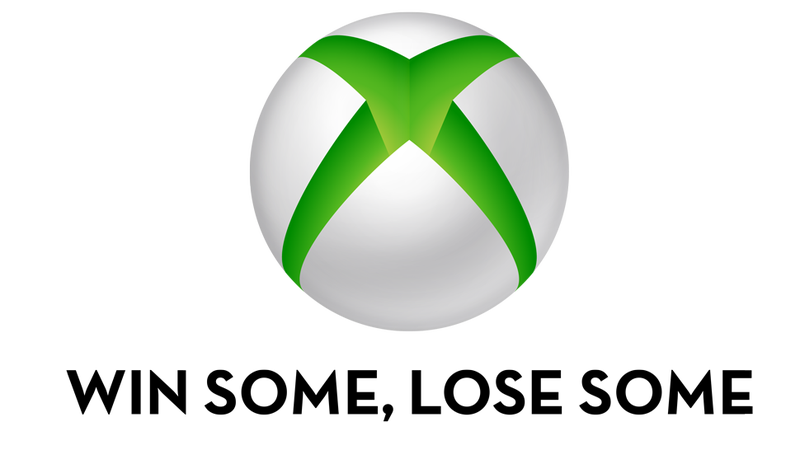 That means that two features are being cut, at least for now, from Microsoft's Xbox One plans. Microsoft's concept of having your full game library travel with you is gone. Microsoft's offer to let you share Xbox One games with up to nine other "family" members is gone, too. The play-your-games-from-anywhere feature had been tied to the idea that all Xbox One games must be installed to the system's 500GB harddrive in order to run. In theory, if you had registered the game online—a requirement that's also been dropped for disc games for the Xbox One—you'd then be able to play those games from any other console you were logged into. Now, with disc games not needing to be registered, you'd have to bring the disc with you to prove you had the rights to play the game on it. Those sacrifices are the cost of the new DRM policy that, Whitten says, will give people an Xbox One experience with disc-based games that matches what they had on the Xbox 360. Games won't have to be registered online, and players won't have to connect to the Internet in a 24-hour period to play offline disc-based games. "The way to think about it is that it works the way it does with the Xbox 360," Whitten said. "You can give them, loan them, trade them, play them. They will work exactly as they do today." It's clear that Microsoft was not planning to make these changes. Even though it's June and the console doesn't launch until November, Whitten said that Xbox One consumers will have to download a day-one patch to enable the Xbox One's offline mode. Presumably, without it, the console will still think it's living in the Xbox One era of E3 2013. UPDATE: Microsoft clarifies that the planned day-one Xbox One update, which Whitten told me, will "complete some of the software that won’t be there," is actually not a result of today's DRM policy change. Rather, it was always planned and will simply be required for playing off-line, among other things. Not a patch, they say. But, yes, your new Xbox console would have to connect online once in order to do the things Microsoft described today. And then you can keep it offline and play games without re-connecting to the Internet forever. Microsoft also announced today a loosening of the Xbox One's regional restrictions. "You could buy a console in any country and use it any country," Whitten said. "You can use any disc in that console." How did Microsoft get their initial plans for the Xbox One so wrong? "We believe a lot in this digital future," Whitten said. "We believe it builds an amazing experience—the ability to have a broader sharing platform and my content coming with me, [but] what we heard is people still wanted more choice… they wanted the familiarity of the physical disc." Microsoft is obviously doing a big flip-flop here, but is putting a proud face on it. And a grateful one. "The last thing I would say is, 'Thank you for the feedback.'" He wasn't addressing me. He was addressing you. Your voices really were heard. NOTE: The original headline for this story "Surprise Xbox One DRM Reversal Requires Day One Patch, Cuts Features" was changed to clarify that the console's day-one update was not a result of today's DRM policy change.